The Scientist, Agronomy is responsible for the initiation, design, and implementation of methods, protocols, documentation, and materials/equipment validation to ensure the quality of horticultural species in pilot and manufacturing scale production. The Scientist, Agronomy is also responsible for planning, organizing, and coordinating activitives of personnel engaged in propagating, cultivating, and harvesting horticultural specialties in Pilot Production Resource. · Oversee Pilot Production resource. · Collaborates with other departments to coordinate product development activities. · Continuously develop pilot scale resource to increase throughput, efficacy, and capabilities i.e. increase capacity, and workflow. · Collaborate with Manufacturing to coordinate production activities such as seeding, transplant, infiltration and harvest. · Provide expert services to Production including tech transfer of methods, protocols and supply chain for the upstream production area. · Define data reporting on plant growth and plant growth systems. Review data and provide comment. · Select and qualify vendors for materials and equipment for Agronomy plant production following cGMP supply chain requirements. 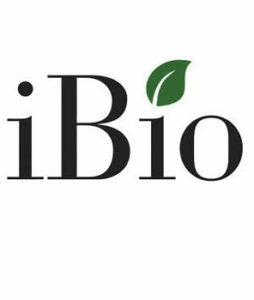 · Develop and oversee execution of methods to evaluate materials, equipment, and growth protocols (photoperiod, irrigation frequency, nutrient solution attributes, environmental conditions, and disease control). · Develop Standard Operating Procedures, Master Batch Records, and other quality documentation. · Develop timelines and budgets to accomplish activities. · Prepare necessary reports and record keeping documents. · Other duties as required – be flexible. Bachelor of Science (Masters or Ph.D. preferred) in Agronomy, Plant Biotechnology, Horticulture or related field. · 3-5 years of experience preferred. · Detailed knowledge of horticultural, and hydroponic practices. Must work collaboratively with the Upstream/Midstream Manufacturing and the Product Development teams. The physical demands described here are representative of those that must be met by an employee to successfully perform the essential functions of this job. Reasonable accommodations may be made to enable individuals with disabilities to perform the essential functions. While performing the duties of this job, the employee is regularly required to experience prolonged sitting, bending, stooping, and stretching. Hand-eye coordination and manual dexterity sufficient to operate a keyboard, photocopier, telephone, calculator, and other office equipment is required. A normal range of hearing and vision correctable to 20/20 is required. Occasional lifting up to 50 pounds is required.